These were the questions asked of me when I told friends what I was doing the last weekend in April. My response was honest, “Covering a distillery tour for Will Drink for Travel.” But inside I was starting to panic. I had those same questions and no actual answers. By Sunday evening I knew not only what there is to do in Frederick but why I would return! Located an hour north of Washington D.C. and an hour west of Baltimore is Frederick, Maryland. Many know Frederick is the birth and final resting place of Francis Scott Key, author of the Star-Spangled Banner and that the city is the where one can find the Barbara Fritchie House, former home of the woman memorialized in an 1864 poem by John Greenleaf Whittier. But what many do not know is that Frederick has a bustling downtown filled with historic museums, antique shops, amazing restaurants, bars and distilleries. Tenth Ward Distilling Company (508 East Church Street) is a small distillery, locally owned by Monica and business partner Kyle. This distillery is known for their whiskey and barrel aged brandy. While I enjoyed their corn whiskey and apple jack brandy, it was the seasonal citrine liqueur that brought a smile to my face. The liqueur smells like springtime – honeysuckle and fresh flowers – while looking at the bright spirit reminds one of sunshine. When sipping the citrine liqueur, you immediately notice the flavors of lemon and honey on the palette. This is easy sipping! Monica suggested adding citrine liqueur to your favorite bubbly for a brunch beverage with a kick! McClintock Distilling Company (35 South Carroll Street) is named after a young inventor who lived in Frederick in the 1800s. This distillery is known for its vapor infused Forager Gin and I know why! When you first bring their gin to your nose you immediately notice the light and herbal scent of juniper. The experience continues as you take your first sip. On the palette, you again notice juniper but also sweet floral notes and a citrus finish. It is not hard to drink and can be sipped on ice or served with your favorite mixer. I enjoyed a glass over ice with bitter lemon and a lemon wedge as soon as I arrived home! 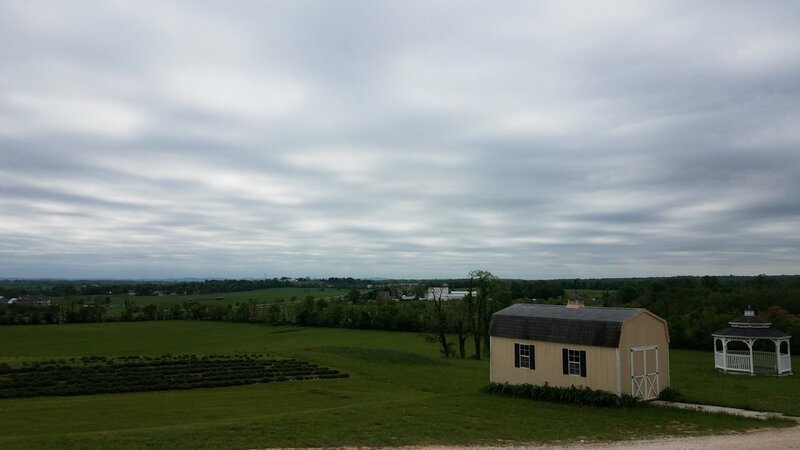 Operating since 2012, Springfield Manor Winery and Distillery (11836 Auburn Rd) is Frederick’s first distillery. Located off of the scenic Route 15, Springfield Manor offers gorgeous, breathtaking views. Guests are surrounded with the light scent of lavender in the air as the distillery has over 2,700 lavender bushes on the grounds. While this was the only one which offered wine and spirits, my favorite spirit was their award-winning Lavender Gin. The owner, Amy St. Angelo, suggested pouring it over ice and mixing with lemonade for an adult Lavender Lemonade. I suggest mixing with Elderflower lemonade for an easy, delicious cocktail! In a close second, I also enjoyed their award-winning Caramel Aged Rum. This rum is smooth, sweet and warm. It should be enjoyed neat or with a singular perfect ice ball. Needless to say, I took a bottle of this home with me as well! Note: None of the spirits distilled at Springfield Manor can be purchased outside of the distillery. So take the scenic drive, enjoy the view as the fresh lavender in the air relaxes your senses and enjoy a glass of wine or one of their spirits over ice! Located directly across from the small airport in Frederick, Dragon Distillery (1341 Hughes Ford Rd #108) is known for small batch spirits and they are not afraid to mix it up. The owners are fans of Dungeons & Dragons which explains the dragons, armor, chainmail and iron gates you notice upon entering the distillery. Their flair spills over into the creativity found in their spirits. During the tasting I enjoyed the Chainmail Cherry-Almond vodka. The owner advised to mix with Cola syrup which they also make on the premises. The mixing of the two explodes on your palette reminding me of a spicy, sweet Dr. Pepper. Named after “Bad Bill” Tutt’s wife, I also enjoyed their Lemon Meringue Moonshine. The name describes the experience perfectly. The smell of sugared lemons introduces your senses to the spirit. This sweet, citrus, soft experience continues as you take your first sip. This is one moonshine you can enjoy over ice after dinner. Bonus: After a day of sipping your way through the distilleries of Frederick, be sure to dine at The Wine Kitchen. The food is divine and the cocktail menu features amazing cocktails featuring some of the locally distilled spirits. Before the meal, I enjoyed a McClintock Reviver #3 made with McClintock Forager Gin. It was delicious! I enjoyed every bite of the meal we were served at The Wine Kitchen. The beet salad with goat cheese and a sherry vinaigrette. There were so many flavors and textures in this salad! I would definitely recommend this as a starter. I enjoyed the 5oz cola marinated sirloin which was fork-tender, along with haricot vert and smooth mashed potatoes. 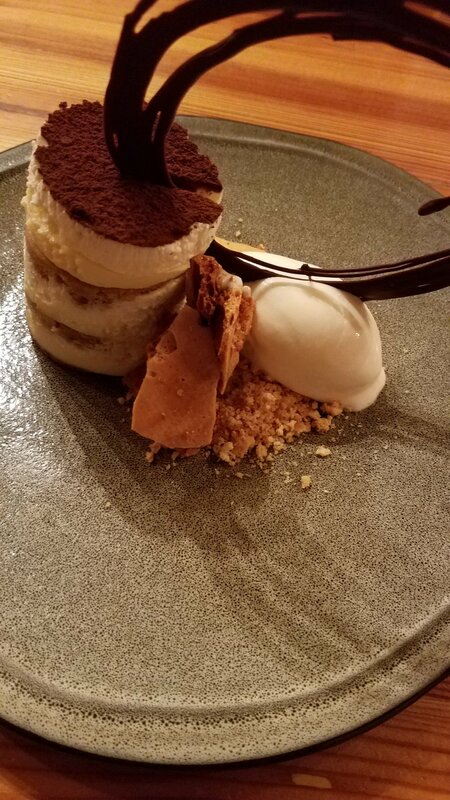 The Wine Kitchen's tiramisu was almost too pretty to eat, but I managed to enjoy every bite! The Wine Kitchen is popular so be sure to make reservations in advance. So the next time someone asks you, “What is there is to do in Frederick, Maryland?” You can provide a confident answer, “Great food! Great spirits! Why NOT visit Frederick, Maryland? !” You'll definitely enjoy what they have to offer! *While this post is sponsored by Visit Frederick, all opinions here are absolutely our own.